Product prices and availability are accurate as of 2019-04-14 14:24:07 UTC and are subject to change. Any price and availability information displayed on http://www.amazon.com/ at the time of purchase will apply to the purchase of this product. Welcome to the new world of vanity mirror lighting! 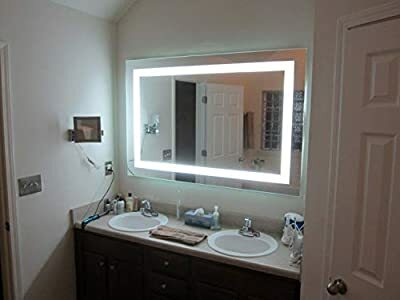 Our commercial grade Rectangular Front-Lighted LED mirrors are used in luxury hotels, spas and make-up studios - a great enhancement to any bathroom. Our Mirrors and Marble brand LED lighted mirror produces a perfect 6000 Kelvin color temperature to reflect your image in perfect natural daylight conditions. Improve your ability to apply make-up, do hair style and color, and coordinate clothing and accessories. 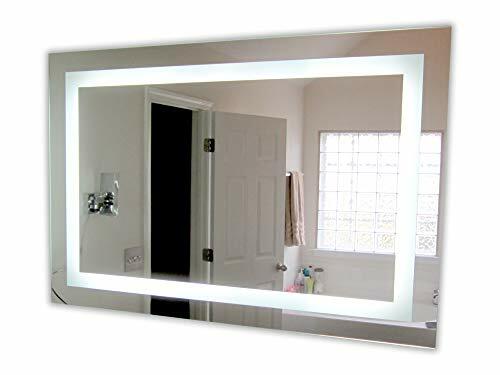 This mirror comes with an integrated high-grade anodized aluminum mounting frame (includes mounting hardware), and is pre-configured to be hard-wired to a standard lighting circuit. Turn your bathroom into a luxurious spa! 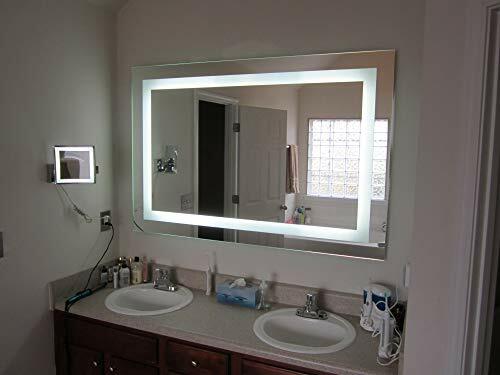 NOTE - Bathroom vanity cabinet and other bathroom accessories pictured not included with LED mirror. Mirror Dimensions / Orientation: 60 inches wide, 40 inches tall (mounts vertically or horizontally). Mirror Glass: 5 mm (close to 1/4 inch) with polished edges, copper-free, lifetime moisture-proof backing. Frosted area approximately 2.0 inches wide. Mirrored area outside of frosted area approximately 2.0 inches wide. LED Lumens and Watts: LED Strip - 40 LEDs per foot, 6 watts per foot, 22 lumens per LED. Approximate LED strip length = 194. Approximate watts: 97. Approximate lumens: 14234. LED Details: 50,000 expected lifetime, 6,000 Kelvin, Color Rendering Index (CRI) = 92. 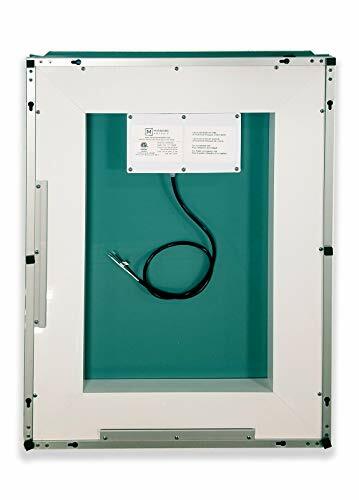 Power Connection: Mean Well - UL 8750 - IP67 - Input Voltage 100-240v AC. Output voltage: 12v DC. Connects to standard switched lighting circuit. Not dimmable without upgrade. Warranty: 5-year limited warranty on mirror and frame, 2-years on electronic components - see seller website. Elegant, contemporary, low profile design. LED lighting produces a perfect 6000 Kelvin color to reflect image in natural daylight conditions. Commercial grade construction - anodized aluminum frame + 5mm thick mirror with polished edge. 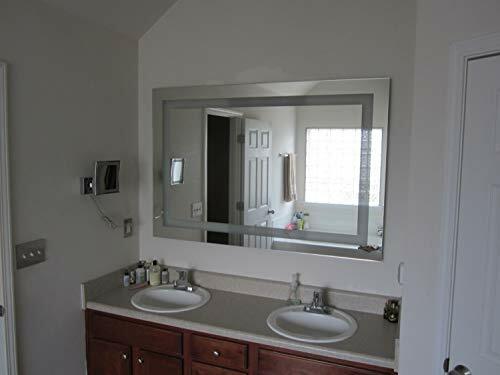 Mirror glass is copper-free and comes with lifetime moisture-proof backing. ETL-listed for US and Canada, conforms to UL Std. 962, certified to CSA Std. C22.2 No. 250.0.